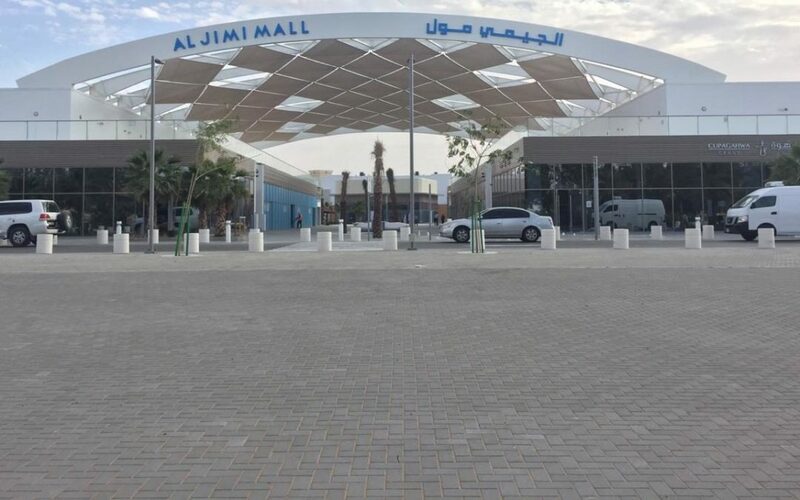 Al Jimi Mall Opens New Wing - The Source Online M.E. Aldar Properties PJSC (‘Aldar’) today announced the official opening of Al Jimi Mall’s major expansion and outdoor retail park. The expansion to Al Ain’s first and favourite shopping and entertainment destination gives Aldar a AED 1 billion asset in Al Ain, which will see the arrival of over 100 new brands and F&B outlets, bringing the total store count to over 200 shops. To celebrate the expansion of Al Jimi Mall and to mark this significant achievement, a ceremony was held and attended by Sheikh Hazza bin Tahnoun bin Mohammed Al Nahyan, Under-Secretary of the Court of the Abu Dhabi Ruler’s Representative in Al Ain. He was joined by Talal Al Dhiyebi, Aldar’s Chief Executive Officer. Located in the heart of Al Ain, Al Jimi Mall provides a diverse range of retail options including Al Ain’s first outdoor ‘Retail Park’ concept, new fashion and furniture stores, nine new F&B outlets at the Retail Park, and Al Ain’s first eight-screen Vox Cinemas. This includes two THEATRE by Rhodes, offering a combination of fine food and the latest films through a partnership with British Michelin-starred chef Gary Rhodes. The complex also features one MAX cinema with a mega-screen for the biggest blockbusters, a KIDS cinema offering a colourful and safe environment for kids and four regular VOX Cinemas’ screens. The extension adds 33,000 sqm of gross leasable area (GLA) to the mall, which is over 96% leased. It also includes 1,200 extra car parking spaces, doubling the capacity of the mall’s existing parking lot and making access even easier and more convenient for customers. Over 200 high quality, modern retail outlets are now operating at the mall, featuring Danube Home, United Furniture outlet, the largest Home Centre in Al Ain, Al Jarir Book Store, and its first Muji store. The extension is also adding new fashion and beauty brands such as American Eagle, NYX, Bath & Body Works and H&M. The grand opening celebrations will take place on the evening of Wednesday 13th March, and Thursday 14th March, for two nights of spectacular laser and 3D mapping shows, live entertainment and special promotions.